The Montreal festival, now in its 6th edition, features 125 artists, including: Apparat, Biosphere, Fm3, Gallopierende Zuversicht, Guenter Muller, Joe Colley, John Duncan, Klimek, Marcus Schmickler, Melchior Productions, Nego Mocambique, Pomassl and Radian. On the Canadian side, the festival features Akumu, Artist Of The Year, Dafluke, Galerie Stratique, Jamie Drouin, Luci, Meek, Minibloc, Nathan McNinch, Polmo Polpo and Simon Guibord. For the first time, MUTEK collaborates with Montreal’s Museum for Contemporary Arts, on installation work by Skoltz_Kolgen entitled “asKaa”. Working for the first time with the designers FEED on the festival’s look, the results end up winning two awards from Toronto’s APPLIED ARTS magazine for their work on the overall program (poster, postcard, schedule, catalogue, CD, T-shirt), as well as in the best poster design category. FEED goes on to capture three more distinctions from Montreal’s GRAFIKA awards in the “Poster Design”, “Brochure Design”, and “Overall Program Design” categories. Furthermore, MUTEK’S web developers, PIXEL CIRCUS, also get a GRAFIKA award for the MUTEK website. For a second consecutive year, MUTEK is named finalist for QWARTZ ELECTRONIC MUSIC AWARD, in the category of “Best Electronic Music Event”. Continuing with its international activities, MUTEK begins the year with a tour, traveling with a delegation of artists to China. Stops include Beijing, Cheng Du, and Shenzen. 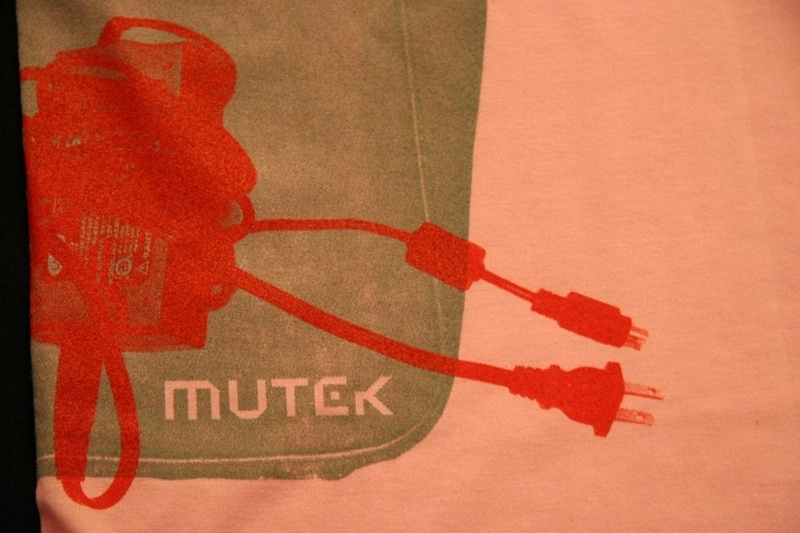 MUTEK reinforces its ties with two other North American electronic-music festivals, DEMF (Detroit) and Decibel (Seattle), with invitations to both events. Finishing the year in South America, the festival launches MUTEK_PANAM, its first full-fledged tour of the continent. The tour touches down in Colombia, Mexico, Brazil, Chile, and Argentina.